Four experts explain what’s ahead and highlight the best investment opportunities in the energy sector. Perhaps the biggest surprise of 2014 was the sharp decline in oil prices. Black gold fell almost 60% from its summer peak of $107 to a low of $44 in January, before enjoying a nice bounce to a recent $53. The reverberations—good and bad—are being felt around the world, from the oil kingdoms of the Middle East to Argentina, Russia, and here in the U.S. The downturn will be the first big test of the U.S. oil-production renaissance. New technologies, such as horizontal drilling and the ability to draw oil from shale rock, have enabled companies to extract more oil from new places faster than anyone expected. In fact, they have led to a 41% reduction in U.S. imports since 2007. But with the benefits have come some negatives. Increased production, coupled with slower-than-expected growth in demand has led to today’s sharply lower oil price. What’s good news for consumers, however, can be problematic for producers. Only companies that can slash expenses and were wise enough not to take on too much debt during the boom times stand a chance of prospering today. Barron’s recently asked a group of industry pros to walk us through the intricacies of pricing oil—and predict where prices will be a year from now. They also identified which companies could survive these turbulent times, and might even come out ahead. 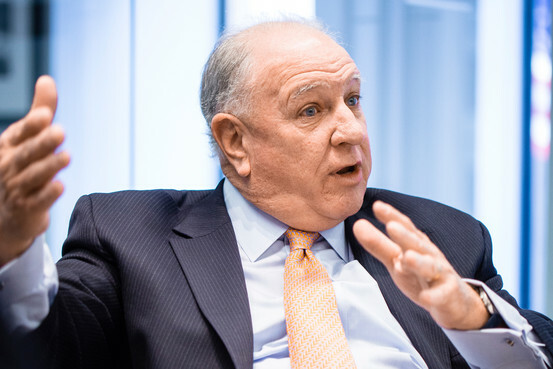 John Dowd, who manages $4.7 billion for Fidelity, provides an optimistic view of oil prices—and energy stocks—a year out. His largest fund, the $2 billion Fidelity Select Energy (ticker: FSENX), has outpaced the competition in the past five years by almost four percentage points annually, rising 6.2% a year in that period. Just as important, the fund outperformed during the tough market of the past year, falling 7%, versus the competition’s 13% decline. Jerry Swank brings wisdom accumulated over more than 40 years in the industry. In 2001, he founded his research firm, Swank Capital, and later launched Cushing Asset Management, known as a pioneer in master-limited-partnership, or MLP, investing. 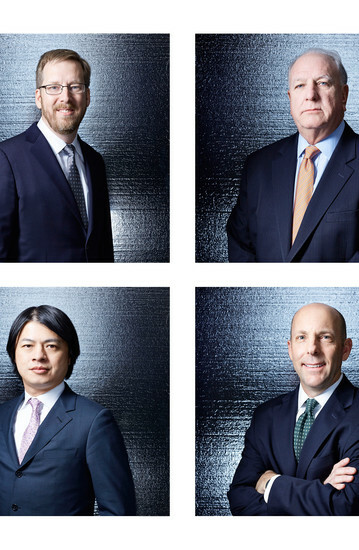 Cushing had $4.3 billion under management last July, including the $2 billion MainStay Cushing MLP Premier fund (CSHAX), when the firm’s open-end funds were purchased by New York Life’s MainStay Investment arm. Shaun Hong of Jennison Associates is the most skeptical about oil’s price recovery. 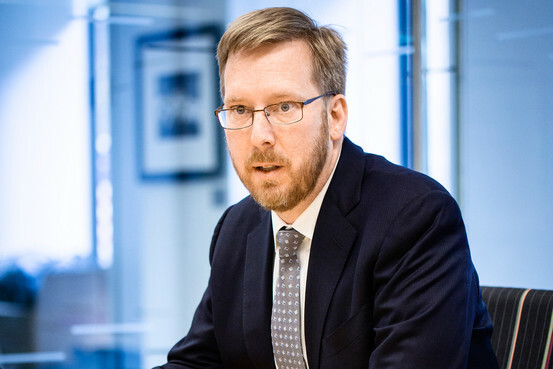 He has co-managed the Prudential Jennison Utility fund (PRUAX) since 2000, which has crushed its peers by rising, on average, nearly 10% a year. He took over the Prudential Jennison Equity Income fund (JDEZX) in 2007. Both funds have a higher-than-average allocation to energy stocks. Gibson Cooper, a high-yield-bond portfolio manager and senior energy analyst at Western Asset Management, provides a fixed-income expert’s perspective on the oil patch. Bonds sold by energy companies account for about 15%of the high-yield market, among the largest share ever, due to the more than $50 billion of new debt these companies sold each year from 2012 through 2014. The new-issue pipeline has since slowed to a trickle, and many bond prices have dropped sharply, which could spell good opportunities for careful investors. Barron’s: Why have oil prices dropped so precipitously since last summer? John Dowd: Demand for oil had been increasing by one million barrels a day, on average, from 2010 through 2013. But that growth slowed to about 700,000 barrels a day in 2014. At the same time, non-OPEC supply accelerated by more than 1.5 million barrels a day. A classic supply-and-demand imbalance emerged. Which non-OPEC countries are producing more? Dowd: Primarily the U.S. During 2012 and 2013, the growth in U.S. shale-oil production was partially offset by declines in Iran and Libya. But in 2014, Libya actually increased production, creating an imbalance in supply. How much excess oil is there? Jerry Swank: We are not talking about massive oversupply. The world consumes 92 million barrels a day, and there’s an oversupply of 1.5 million to two million barrels a day. The price drop shows how precarious the market is when just a slight supply imbalance causes crazily violent swings. The market is telling us that oil was way overpriced last summer. Swank: Economic growth in Europe and Asia has been slower than expected, and the strong dollar made oil more expensive for countries to purchase. That was especially true in emerging markets, which drove much of the demand growth in recent years. How will the market return to balance? Shaun Hong: You really need demand to grow at a decent pace in order to get oil back up to a $60-ish level. A production decline would also accelerate a price recovery. What is demand growth expected to be this year? Dowd: The International Energy Agency, a government-supported research group, is estimating demand growth in 2015 at 900,000 barrels a day. That would be in line with the average over the past 10 years. Hong: Do you believe that forecast, given how much China’s economy has slowed? Dowd: Yes. When oil prices decline, demand generally picks up. We are already seeing a change in consumer behavior. It sounds like you don’t believe that forecast, Shaun. Hong: I’m skeptical. The U.S. has seen a pickup in gasoline demand. But international demand may not increase as much as people expect. So maybe demand growth is closer to 800,000 barrels. This whole rebound may take a little bit longer—an extra quarter or two—to play out. Why would growth in demand be slower than expectations? Hong: Gasoline is the biggest source of demand for oil. Europe’s economy is weak, and its high gasoline taxes mean that gas prices won’t fall, on a percentage basis, as much as crude prices do. Likewise, China’s economy may not grow as fast as expected. And demand could be weaker than predicted in countries like Indonesia or India, which have recently reduced their fuel subsidies because they can’t afford the cost. Beyond excess supply, what else caused oil prices to tumble? Gibson Cooper: The real straw that broke the camel’s back was when Saudi Arabia discounted the price of its own crude in October; then other OPEC members also discounted. Around Thanksgiving, the market thought OPEC would cut production by 500,000 barrels to support the price of oil. But it didn’t, and oil prices fell further. Why do you think Saudi Arabia and OPEC allowed the price of oil to fall? Lower oil prices hurt their revenues and budgets. Cooper: Some people think there’s a benefit to bringing prices down just to hurt Iran and Russia. But the Saudis see the increasing efficiency of U.S. shale-oil production, and see the writing on the wall: At some point, the U.S. will be exporting oil. A lower oil price is a way for Saudi Arabia to slow down U.S. production growth. Swank: Yes, although the Saudis don’t have much market share left here—we barely import anything from them, 600,000 to 800,000 barrels a day. They don’t like seeing other OPEC members take market share in India and China. They are trying to defend their market share by allowing oil prices to drop. Saudi Arabia has a budget surplus and can withstand lower prices. That’s not the case for other OPEC countries. Dowd: They also have an eye on the risk that higher oil prices will encourage the development and use of alternative sources of energy. A lower price of oil solves several problems for them. Oil is purchased and sold in dollars. What impact has currency had? Swank: We’ve had a very strong dollar, and there is a high correlation between oil and the dollar. I’d say maybe $10 of the oil-price collapse in September was dollar-related. Did speculators have a role? Hong: Absolutely, speculators are a factor. But the price decline was most impacted by the general buyer of oil. Airlines, for example, historically have hedged some of their fuel expense. But when oil prices started to move down drastically, volatility went up, and hedging became more expensive. So airlines pulled back on hedging. Also, users of oil will reduce their buying. Instead of holding two or three months of inventory, they’ll cut back and try to buy oil at a lower price in the future. So there is a de-stocking that goes on. How are oil companies responding? Dowd: Exploration-and-production companies are aggressively curtailing spending, announcing 50%-plus cuts for the year, which is dramatic. And what will that mean for output? Dowd: Companies are revising their production guidance downward for 2015, and a lot of them are expecting flat production for 2016. Most companies based their guidance on oil priced at $65. If today’s prices hold, there will be another round of cuts to come. When do you think prices will bottom? Cooper: The consensus view is that prices bottom in the second quarter. We still expect production growth in the U.S., and the market should get a little bit of a tail wind from the oil-rig count falling. The count peaked in early October, and it has fallen by 30%, or 470 rigs, already. As it continues falling, it will cause slower production and higher prices. But it takes time. Swank: I don’t know if you are ever going to get an actual year-over-year decline in production. It’s not a perfect analogy, but the natural-gas rig count is down by two-thirds, and gas prices have fallen to $3 from $12 [per million BTUs]. Even so, production rose because producers got more efficient. If oil producers can do the same thing, oil production could plateau—and not decline—despite lower prices. If there are fewer rigs drilling for oil, how can supply increase? Hong: Because all rigs aren’t the same. The wells created by vertical drilling rigs produce fewer barrels than wells drilled by horizontal rigs. Vertical rigs have one pipe that drills straight down. Horizontal rigs drill down and then horizontally, so they cover a much wider distance, making them massive gushers. Companies can also reduce the number of exploration rigs but keep production high in the near term by completing existing wells. Wells are completed by pumping in sand and fluids to create holes in nearby rocks, which causes the oil to flow into the well’s pipe. Explain a little more about what happened in the natural-gas market. Dowd: From 2010 to 2013, drilling in Pennsylvania’s Marcellus shale formation drove U.S. natural-gas production upward. Marcellus drilling costs about half of what it costs elsewhere, so it drove down natural-gas prices. It was a disruptive technology, and it put a lot of gas companies out of business. Marcellus drillers were among the best-performing stocks in the Standard & Poor’s 500 index in that period, despite the reduction in natural-gas prices. Will the same thing happen to oil drillers? Dowd: That’s the debate. Will the quality exploration-and-production companies in the oil industry learn how to thrive in a lower-commodity-price environment? If so, will that put some of the established oil companies around the world at risk? Swank: In the international arena, it doesn’t matter what Venezuela’s production cost is, or what Iraq’s or Libya’s is, because oil production is tied to social programs. Some oil-producing countries use oil revenues to subsidize their economies. Proceeds from oil sales are paid out as dividends to citizens or used to reduce the price of gasoline. These countries will keep producing oil in a low-price environment to keep their citizens happy. The issue is whose budget can survive these low prices and for how long. Some 40% of production here in the U.S. comes from independent E&P companies that don’t have marketing or refining operations. How will they fare? Dowd: They’ll get hurt. Independent operators don’t have the cash flow to handle the cost of development in the shale business. Wells in the U.S. used to cost $1 million apiece; now they cost up to $14 million. I had dinner with one individual who said you have to be careful because mistakes are really, really expensive. He said it is amazing how quickly you can drill through three generations of wealth. What kinds of companies will need to change if they hope to survive $50 oil? Dowd: The conventional driller—one that uses traditional technology to drill vertical wells—is still the high-cost producer, and is pulling back the most aggressively. The number of vertical rigs used in conventional drilling has dropped 40%, while the horizontal rigs used in shale-oil production have dropped only 25%. Now we have to ask: Where is the price of oil headed from here? Swank: People who say they can predict where it is going to be in a month aren’t right—they’re just lucky. There is a chance crude oil could be in the $20s in the first part of this year, and there is a chance it could be in the $60s. That’s a wide spread, but it reflects the uncertainty in the marketplace. Cooper: We think about what oil price is required to attract debt and equity capital. At $50 to $60 oil, it is going to be tough to raise high levels of debt capital. What if companies can’t raise capital? 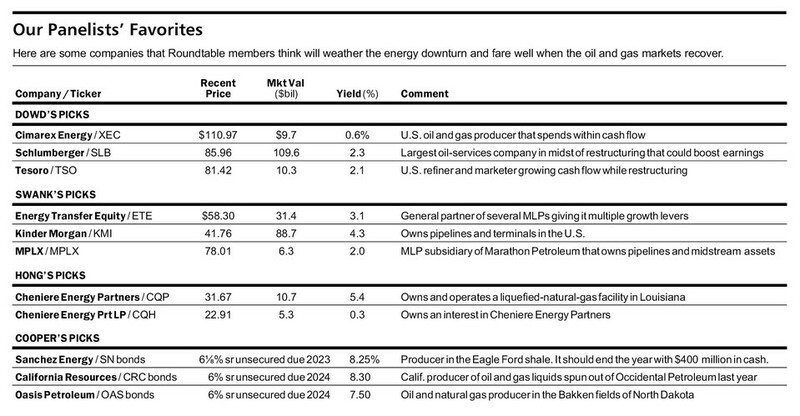 Cooper: High-yield companies probably generate 20% to 25% of the oil production in the U.S. If they can’t raise capital, you simply won’t have the spending to fund the same level of drilling that we’ve had in the past. Production will slow considerably, but it will take several years to do so. Companies are paying higher interest rates to entice investors to buy their bonds. How much does capital cost for energy companies today? 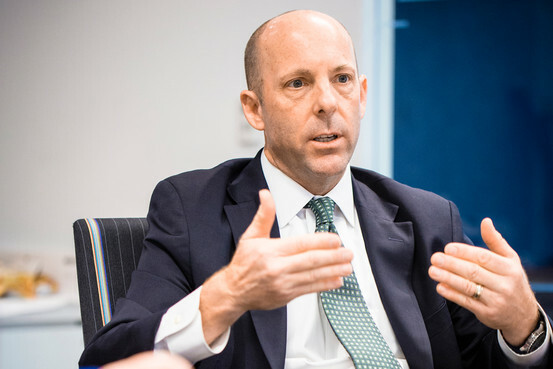 Cooper: High-quality E&P companies can sell high-yield debt. Lower-quality companies—those with a lot of debt and that aren’t located in prime areas—are shut out of the market, as are the service companies. Bonds of service companies trade closer to a 13% yield. The lowest-quality bonds yield as much as 25% to 30%. What does that mean for your expectation about oil prices? Cooper: We’re making investments on the premise of $50 oil this year and perhaps $60 in 2016. Longer-term, we’ll underwrite investments based on $65 to $70 oil. Dowd: I’ve been doing this too long to try to time the bottom. Prices can always move further than I think is rational. I do think oil is higher in a year. It took $90 oil to make U.S. projects work before. Because they’re cutting costs, $70 oil probably makes some of them work now. I expect oil to be $60 to $65 a year from now, assuming that a slight oversupply persists in the near term. Hong: There are a lot of variables, like geopolitical problems, that can’t be anticipated. With that in mind, oil should bottom in the $30s. A year from now, it will probably be in the $50s. I’m a little more cautious than others about growth in demand, especially in China and Asia. Also, the stronger U.S. dollar is going to hurt a lot of emerging-market countries that have had the biggest growth in demand for oil. The stronger dollar makes oil more expensive for them. Dowd: You want to invest in energy when the outlook is dark and stormy, and recently, it has been pouring. The average price-to-book of the energy sector is at an 87-year low. The companies are responding with lower spending and lower production growth, and consumption is beginning to increase. In a year, I believe energy stocks should be up. So what do you own? Dowd: Cimarex EnergyXEC in Your Value Your Change Short position [XEC] is a U.S. oil-and-gas producer in the Permian Basin in Texas, and it develops natural gas in Oklahoma. It has one of the best balance sheets among the midsize E&P companies, and a history of spending within its cash flow. You said earlier that companies that can manage or cut costs are best-positioned to ride out low prices. Who else is in that category? Dowd: Last year, Schlumberger LB in Your Value Your Change Short position [SLB], the largest oilfield-service company in the world, started a restructuring process aimed at improving earnings and profitability on the assumption that commodity prices would be flat for the next several years. They plan to double earnings per share by reducing unplanned downtime and increasing the reliability of their tools. The stock is trading at one of its lowest price-to-book multiples since the 1980s. If it were to trade at its average price-to-book multiple of the past decade, the stock would double today’s level. Who else is restructuring in this way? Dowd: Tesoron Your Value Your Change Short position [TSO], a U.S. refinery, has historically had above-average gross margins, but it never translated that advantage down to the bottom line. Several years ago, a new CEO came in with the goal of improving profitability. Its target is to grow cash flow 20% this year from cost restructuring, and management says it can do that for another two to three years. Tesoro will also benefit if it can acquire more higher-quality, lower-cost crude from other regions in the U.S., which would improve margins. It’s in a position to profit in this downturn. Jerry, you invest in master limited partnerships. What’s to like there? Swank: We invest in midstream MLPs, transportation businesses that get the oil and gas from the well and bring it to the consumer. The stocks have gone down 20% to 25%—as much as many of the oil companies, even though their profits aren’t really affected by commodity prices. We’ve never seen an instance when pipeline volumes went down because the commodity price fell. Volumes on some pipelines have dropped, but only because new natural-gas supply from the Marcellus shale has completely changed which pipelines are used. MLPs are famous for their high payouts. How do you ensure their distributions are likely to continue? Swank: We like companies that have long-term, fixed-rate contracts, and those that went through 2008 with increases in cash flow. The average annual distribution should grow 6% to 8%. We also like to own the general partners, or parent companies, which have more growth levers. Energy Transfer EquityETE in Your Value Your Change Short position [ETE] is an example. Kinder MorganKMI in Your Value Your Change Short position [KMI], another pick, rolled up all its MLPs into one corporation, simplifying the structure and lowering its cost of capital. Cooper: What do you think about the safety of their distributions? If cash flows decline sharply, distributions to investors get cut. Swank: I don’t ever wake up worrying about it. These companies all have cash flows in excess of their current distributions. We also like the refinery MLPs, including MPLXMPLX in Your Value Your Change Short position [MPLX], the MLP of Marathon PetroleumMPC in Your Value Your Change Short position [MPC]; Phillips 66 PartnersPSXP in Your Value Your Change Short position [PSXP]; and Valero Energy Partners [VLP]. All the refinery MLPs you mentioned are pretty low-yielding, with distributions of less than 2%. Most MLP investors like the income. Why do you find them attractive? Swank: They all own their pipeline assets and are virtually 100% fee-based. Their parents have many midstream assets that can be sold to the MLP. As an MLP purchases more assets, like pipelines, it has the ability to generate more revenue and boost earnings and distributions. MPLX recently came out and said they are going to grow distributions at 25% a year for the next 10 years. Shaun, what are you buying, given your cautious stance on energy prices? Hong: I like a lot of the same names Jerry does. In the Equity Income fund for the past several years, most of our energy holdings have been in the midstream area, and we’ve had very limited exposure to E&P names and refineries. Like anything that Jerry didn’t mention? 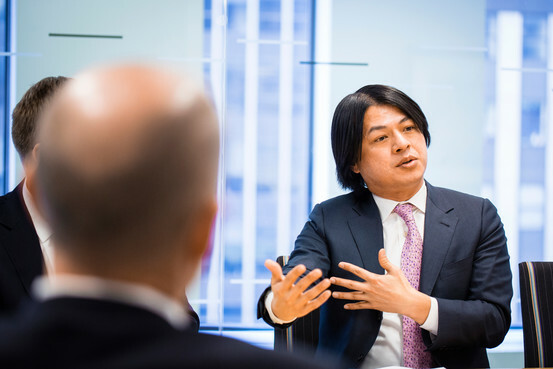 Hong: Cheniere Energy[LNG] has an MLP called Cheniere Energy PartnersCQP in Your Value Your Change Short position [CQP] and another unit called Cheniere Energy Partners LP HoldingsCQH in Your Value Your Change Short position [CQH]. We like the outlook for both firms, which own a liquid-natural-gas terminal in Louisiana that will be operational by the first half of next year. They have 20-year-plus contracts. Whether the buyers use it or don’t use it, they still have to pay Cheniere. CQP pays $1.70 a year on its A shares, for a 5.4% yield. CQH pays just eight cents a year, but that will increase meaningfully three months after the plant becomes operational, and its B shares in CQP turn into A shares. Are you buying other oil or energy stocks in the Equity Income fund? Hong: No. Those investors tend to be conservative, so we’d rather wait and see the bottom in oil prices. Gib, how are fixed-income investors approaching the market today? Cooper: In high yield, the name of the game is creating bridges to better oil prices. Companies need to ensure they have the liquidity to survive if oil prices stay low for a couple of years. Cooper: Sanchez EnergySN in Your Value Your Change Short position [SN], a producer in the Eagle Ford shale in South Texas. It has an enterprise value of $2.1 billion, and $1.7 billion of tradable debt. We were buying the bonds in December at 75 cents on the dollar, after they’d fallen about 25 points since August. Now they trade at 89 cents and yield 8.25%. Swank: The balance sheet is in great shape. Cooper: They have nothing borrowed on a $300 million bank line of credit and will probably end the year with $400 million in cash. They will slightly outspend cash flow in 2015, and have proposed a budget in 2016 that is basically break-even. Management prefunded a lot of capital needs, so they are in a relatively good position. Anything else look interesting in high-yield? Cooper: Another name is California ResourcesCRC in Your Value Your Change Short position [CRC]. Its $5 billion of bonds were sold last fall as part of its spinout from Occidental PetroleumOXY in Your Value Your Change Short position [OXY]. Like Sanchez’s bonds, they have fallen sharply, by 27 cents on the dollar to 78 in mid-January. Now they’re at 85, and yield 8.3%. Why are the bonds down so sharply? Cooper: They’ve fallen because 45% of California Resources’ production is crude oil and another 28% is natural-gas liquids, and its production is largely unhedged. But it has more than $2 billion of cash and available bank lines of credit. And because it is a conventional producer, its production is slowing just 15% a year, versus the much sharper drop in production the shale producers are seeing. So the company has the ability to contract capital spending fairly aggressively without hurting production levels substantially. Can you give us one more bond? Cooper: Sure. Oasis Petroleum [OAS] doesn’t yield as much, but drills in a world-class basin, the Bakken in North Dakota. Oasis has locked in the price it will receive on more than half its production in 2015, and management lives within its cash flow. Its bonds are single-B rated, and yield 7.5%. It is a company with staying power and good assets. Greece has vowed to reject any demands for further austerity at a last-ditch meeting with eurozone creditors on Friday, even though the country risks running out of money by next week without a deal. Yanis Varoufakis, the Greek finance minister, said there can be no agreement if the EMU creditor powers continue to insist that Greece sticks to the terms of its EU-IMF Troika bail-out and increase its primary budget surplus from 1.5pc to 4.5pc of GDP by next year. “We have bent over backwards to reach an accord. We are perfectly prepared to refrain from any moves that would jeopardize financial stability or Greek competitiveness. But what we cannot accept is that the fiscal adjustment, agreed by the last government, be carried through just because the rules say so,” he told The Telegraph. The defiant stand by the Leftist Syriza government raises the risk of an irreversible showdown when finance ministers from the Eurogroup converge on Brussels on Friday for yet another emergency meeting. While there is mounting irritation in EU circles over Germany’s refusal to give ground, and signs of a Franco-German rift are emerging, the Greeks are on thin ice. Failure to agree a deal could set off a chain-reaction as capital flight accelerates, leading ineluctably to a sovereign default and ejection from the euro. “We have already done more fiscal tightening than has ever been done by any country in peace-time, and Greece is still in depression with declining nominal GDP. There is no macro-economic argument that can be made for further tightening,” said Mr Varoufakis. “The only reason for doing so is out of ideology or on punitive grounds. All we are seeking is a way to end the debt-deflation cycle and restore the credit circuits of the Greek economy,” he said. Mr Varoufakis sent a fresh proposal on Thursday to Jeroen Dijsselbloem, the Eurogroup’s chief, stating that Syriza is willing to “honour Greece's financial obligations to all its creditors” and desist from any “unilateral actions” in exchange for bridging finance and a six-month interim arrangement. The Greek offer included the crucial proviso that Syriza will limit austerity to “appropriate primary fiscal surpluses .. that take into account the present economic situation”. EU officials said the text was prepared in conjunction with Mr Dijsselbloem on Wednesday night. He drafted eight bullet points that would be “palatable” to the Eurogroup. These were accepted by the Greeks. The plan had the enthusiastic support of the Jean-Claude Juncker, the European Commission’s chief. French president François Hollande also backed the compromise, going so far as to telephone Greek premier Alexis Tsipras on Thursday morning to congratulate him on the breakthrough. Diplomats thought there was a “done deal”. The German finance ministry then issued a statement rejecting the text out of hand, causing consternation. “The letter from Athens offers no substantial solution. It focuses on bridge financing without meeting the conditions of the programme,” it said. Berlin later described the Greek demarche as a “Trojan Horse”. It is far from clear whether German finance minister Wolfgang Schäuble has majority backing for a position that could lead to the break-up of monetary union by the end of the month – with unknown risks of financial and political contagion - or whether he has overplayed his hand. There is a loose parallel with developments at the European Central Bank, where a noisy German-led bloc was outmanoeuvred by a Franco-Italian alliance on quantitative easing. Greece has quietly kicked the issue of debt relief into touch, and agreed to work with the various components of the Troika so long as the term is not used. It has yielded so much ground that there was uproar within the Syriza party in Athens on Wednesday night. A mutiny was narrowly quelled. The EMU-wide politics are complex. Madrid is insisting on an extremely tough line with Greece because it fears that any concessions to Syriza would be further grist to the mill of Spain’s Leftist Podemos party, which is pulling far head in the polls. Slovakia and the Baltic states are broadly aligned with Germany. Officials at the International Monetary Fund and the Commission admit privately that the Troika’s fiscal targets have been overtaken by events and no longer make any sense. The Eurogroup nevertheless reiterated its demand for strict compliance with the old demands last Monday. Greece is now prostrate. Tax arrears have reached €76bn and are rising by €1.1bn a month. “Greece is totally bankrupt. The ECB’s constant talk against us is causing a self-fulfilling deposit flight in the banks. It is so bad that anything could happen,” said one Greek official. Germany appears to be working from the assumption that Syriza has no legitimate case and should abandon its election pledges, despite having won a landslide election victory with a mandate for radical change. Critics say this fails to acknowledge that the tectonic plates are shifting across Europe as electorates lose patience with austerity policies that have led to a longer slump than the 1930s. Jacob Lew, the US Treasury Secretary, called Mr Varoufakis this week to urge a compromise and avert a potential disaster for the Greek people, but he has also called on the creditor powers to be more flexible. Washington has warned that Europe faces a “lost decade” if it persists with contractionary policies, a view shared by Britain, China and Japan. Syriza's leaders say Greece has gone as far as it possibly can to assuage creditors but has reached its limits. They await the verdict in Brussels with weary fatalism. “Whatever happens we are not going to accept humiliation or become a debt colony of the Eurogroup. We will uphold our sovereignty,” said one official.